The Sermon is for Palm/Passion Sunday, so the service starts out with those Hosannas and the Palm procession, it moves through Pilate’s palace, and ends at Golgotha and the tomb. There are a myriad of subjects possible, but the with Mark’s text what stood out to me this week was Pilate’s repeated pawing, “The King of the Jews”. He’s having perverse fun with the Chief Priests, and the crowds, and even with Jesus. He’s abusing his office for entertainment. The sermon compares it to an old cat and a mouse. The irony is that Pilate, the de facto king of the Jews, actually has the King of the Jews before him. And all throughout Jesus is nothing but truthful. The test is can we see that. Can we see the King not just in his purple, but also in His suffering? Old cats grow blind, all tyrants fall, but the King shall come when morning dawns. Can we see it? Worship note: I’ve left in a verse or two of several of our hymns today. The hymns of Palm Sunday are such a big part of the experience. All of these hymns in their fullness deal with seeing the King on the Throne which is the cross. The confrontation of Jesus with the chief priests and elders is the confrontation of the prophet with the stewards of the priest and king roles. It is a confrontation of authority. And the abiding question is how do we know when we’ve heard THE WORD of GOD? The typical authority granted is of that priestly or kingly type. It comes with the office and the special garb of the office. The authority of the prophet is different. And we still long to hear that prophetic authority. The first part of the hard answer is that the prophetic authority is self-authenticating. You know it in your hearts and guts when you hear it. Our opening hymn was “Hark a Thrilling Voice is Sounding”. That is the part of the response. 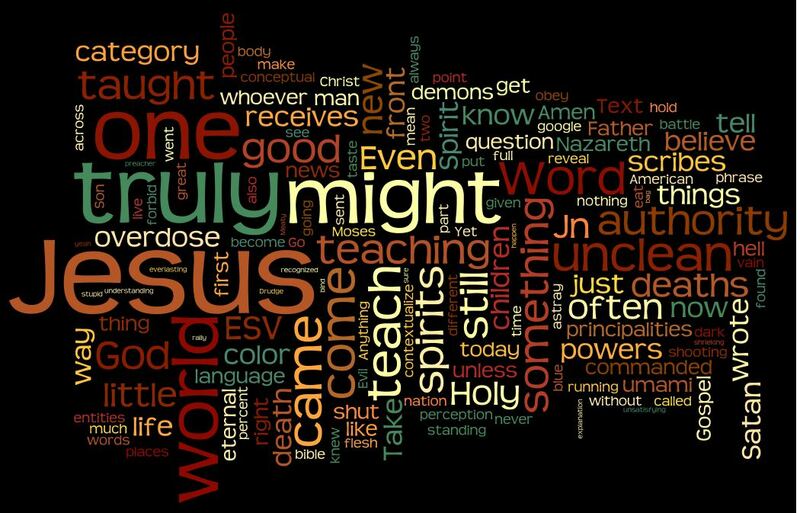 The second part of the hard answer is that THE WORD comes to us under the cross. It comes in power and can be crucified, the violent can bear it away. It is always “punching up” as it were. If it is not, it might be something you desperately want to be THE WORD, but you are fooling yourselves. When we hear the prophet the most likely response is repentance. That is the goal of THE WORD – Repent and believe. The Kingdom is here. A contrasting honest response would simply be to have the courage of your convictions. Sit in the seat of the priest or the king and deny that the prophet has any authority. It is at least a courageous honesty response. The worst response is “we don’t know”. Did you hear the Word? “We don’t know”. Stop it. You know. You just don’t like the decision is forces. True repentance or true rebellion. We want it both ways. The safe authority with the romance of the prophet. Recording Note: You might notice during the sermon a shift in sound direction. For some reason I think the pulpit mic cut out. The altar mic picked it up fine, but it will sound more ambient. I also had to amplify the line just a smidge. We had some great hymns, like the opener mentioned, but I didn’t include any in the recording because it was one of those days where the recording just didn’t sound as good as live. Come to church, a much better experience. The text for the first Sunday in Advent is usually Palm Sunday. The theme is the Advent of the King. There are multiple ways that Advent invites us to ponder the Kingship of Jesus. We can reflect on the first advent in a holy longing for the second advent. The first time in grace and humility, the second in judgement and power. We could reflect on the King as stand-in for His people. In this case the King on the way to the cross and our penitential need. That is Advent as a penitential season. The Isaiah text which is just as much the sermon text of the day invites a third meditation, Advent as the dawning and growing of the light. 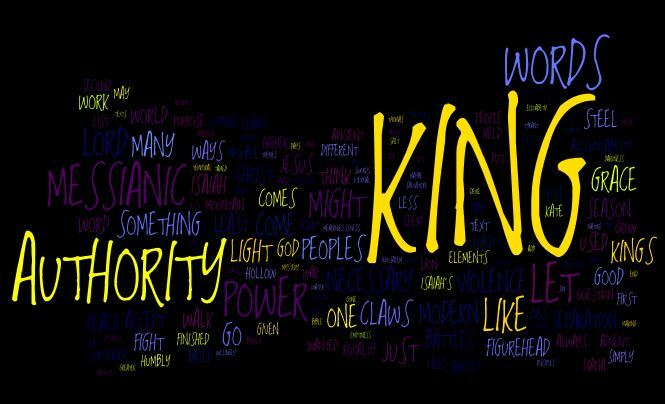 What this sermon attempts to do is think about what it means to have a King. It posits a couple of forms of human kingship – modern and ancient. It then contrasts those with the Biblical picture of the Kingship of Jesus. It concludes with the encouragement as the natural light grows shorter, to let they spiritual light brighten. Come, let us walk in the light of the Lord. Worship notes: The other voice you hear is our Seminarian Tim Bayer. He was in town for Thanksgiving and it is always great to be able to include him in the service. Since the break is a short one, he and his wonderful voice handled the liturgy for us. I’ve left in two hymns. At the start LSB 343, Prepare the Royal Highway. At the end LSB 331, The Advent of Our King. Both carry the Kingship theme and explore it is ways similar to the sermon. I love the hymns of Advent. I’ll often try to work some of them in during the year itself because the season itself is made to short. The other reason is that the themes of advent are so deep and worthy of reflection. 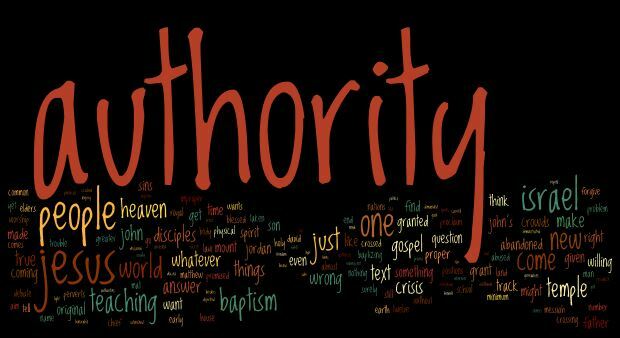 Authority is one of those words that, depending upon your context, can be a dirty word today. That is truly a shame because it used to be something that was exercised with wisdom. Those with authority knew they also had accountability. Those with it respected where it came from and its proper use. They knew authority came in multiple forms – hierarchical and moral – and that you couldn’t last long with the first if you didn’t respect and preserve the second. Authority was always a grant, a gift, a grace. It was never something that you earned. If you took it you were a usurper. 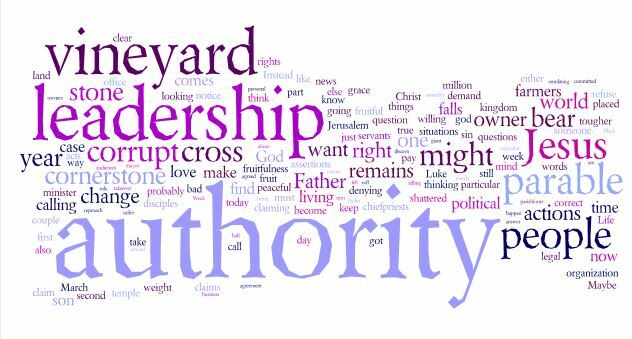 It traces a deep vein in the Gospel according to Matthew of the sources and uses of proper authority. How to say this? There are some long running arguments about society and social structure that seem to be coming to watersheds or settlement points. Here is the anchoress as First Things talking about the Priesthood in the Catholic Church. It has seemed to me for a long time that “the spirit of Vatican 2” crowd and the “typical every sunday” Catholic was something that couldn’t go on. If I’m reading this article correctly, it sounds as if it won’t. The being nice to each other phase is over. That debate is related to this next item in a way. Ask yourself the question does marriage precede the state? Then ask yourself the question: is a fundamental of the essence part of marriage children or is marriage simply a personal arrangement? This is the original NYT column where Ross Douthat would call those who would say “no, simply a personal arrangement” decadent. Here is my favorite finance columnist, reacting to that column and the many mean-spirited responses. a) marriage was about four things: a picture of Christ and the church, mutual support, lust control and children (please look up the liturgy of marriage on LSB page 275 to see these things spelled out, I’m not making them up). The emerging society: a) marriage is only about mutual support, it is an individual contract, b) it can be redefined by the state, and c) drawing of bright lines is judgmental which you have no authority to be and might even need to be “re-educated”. If you live or believe in that old society you see the new one as decadent and narcissistic which ultimately leads to collapse. If you live in the emerging society – “Hey, don’t harsh my buzz, you evil troll”. That is a divide in worldview that can’t be sustained or bridged. If something can’t go on, it won’t.